After a couple of nights in a desert lodge without wifi we really looked forward to a hotel with modern amenities. Swakopmund isn’t only the ideal place to discover the Atlantic coast of Namibia, but also to recharge your batteries, get your laundry done and upload your photos with super fast internet. 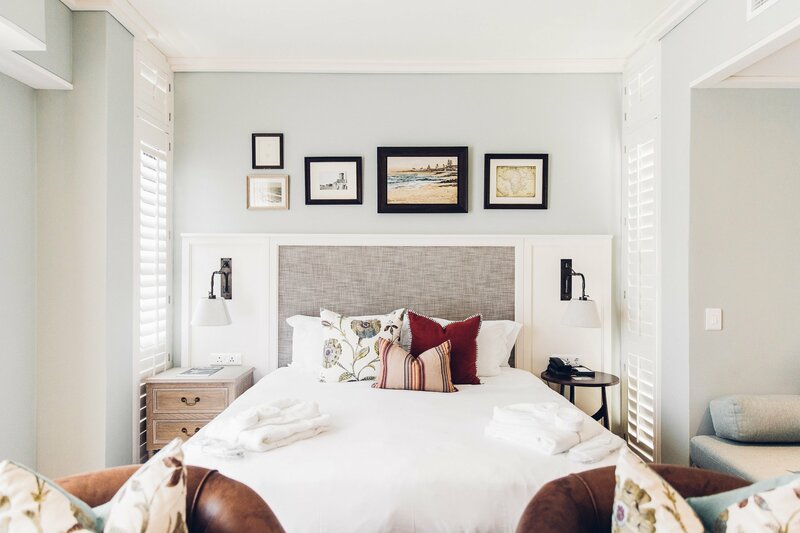 And there’s no better hotel to do this than the “Strand Hotel Swakopmund” – right at the shorelines of the Atlantic Ocean. 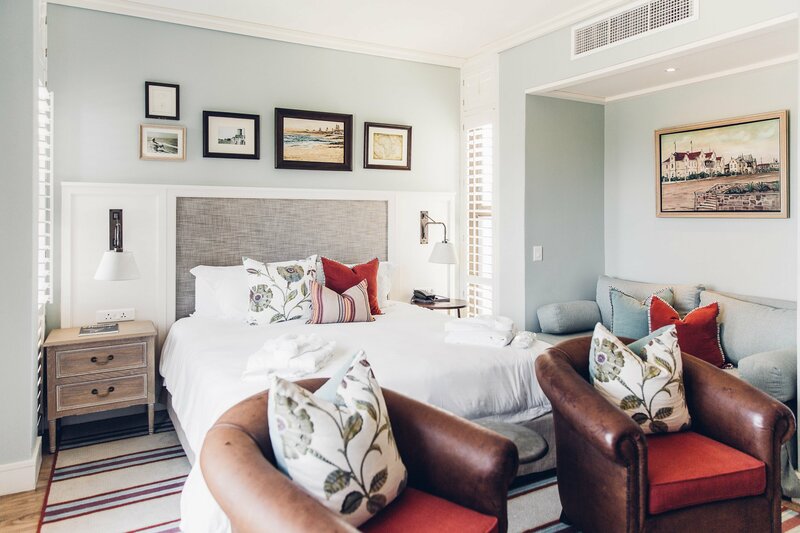 Our maritime room at the Strand Hotel in Swakopmund. During our 3 week road trip of Namibia we initially only wanted to stay one night in Swakopmund. Turns out that wasn’t the right decision, so we returned for three more nights later on. 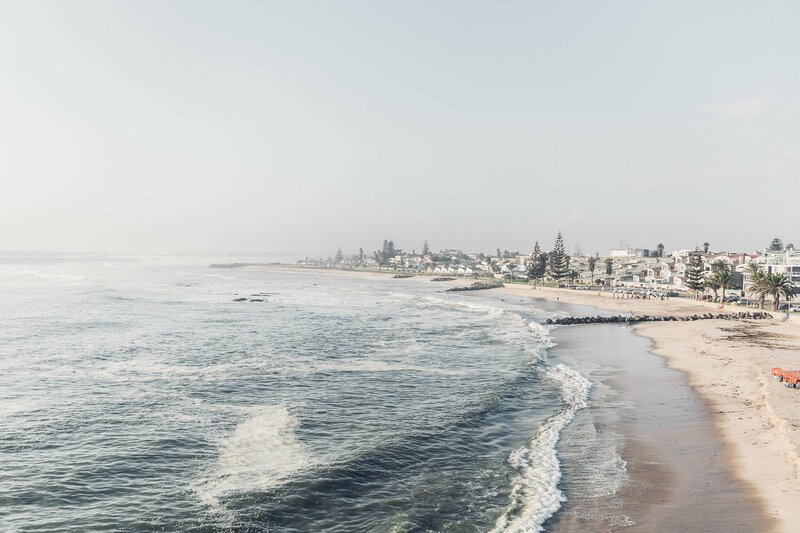 There’s a lot to see and discover at the Atlantic Coast – from flamingo colonies to the shores of Sandwich Harbour and the Namib desert (read all about our tips for Swakopmund here). Also Swakopmund offers all the amenities you might have missed in other places in Namibia. 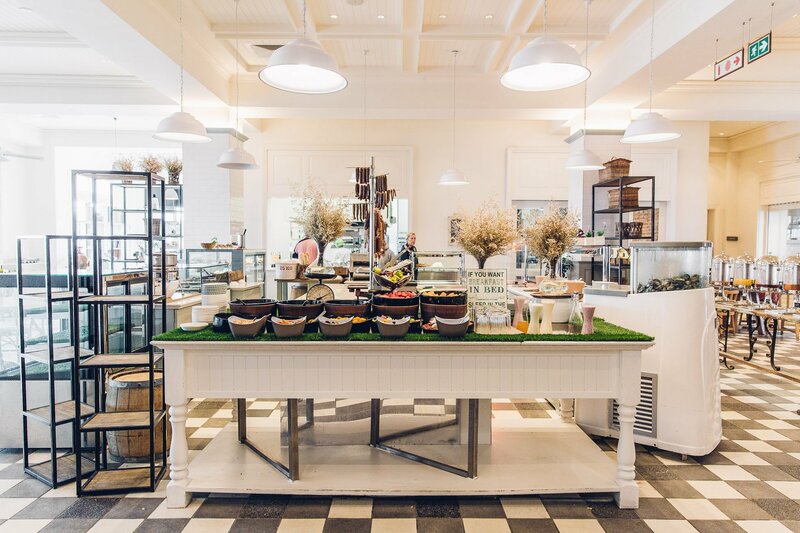 There’s restaurants, shops, pharmacies – everything’s available here. The pier of Namibia is just minutes away from the hotel. 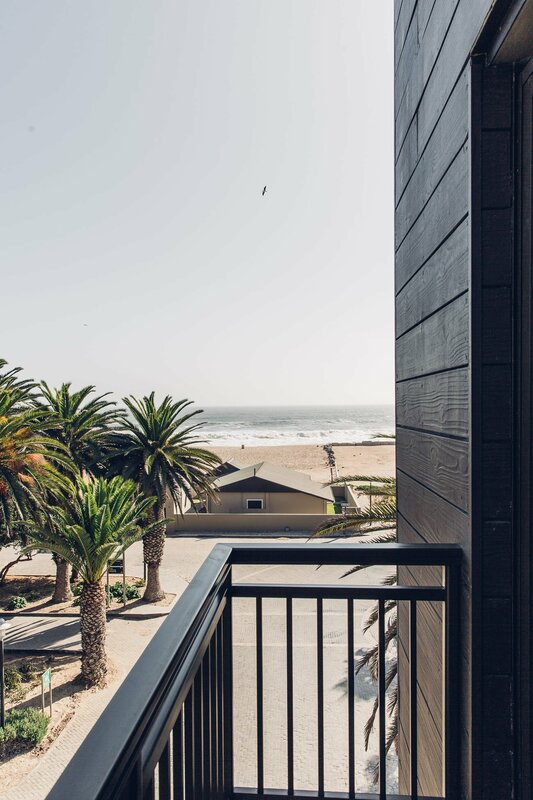 In Swakopmund there are only a handful of 4 star hotel options – and none of them have the iconic location of the Strand hotel. 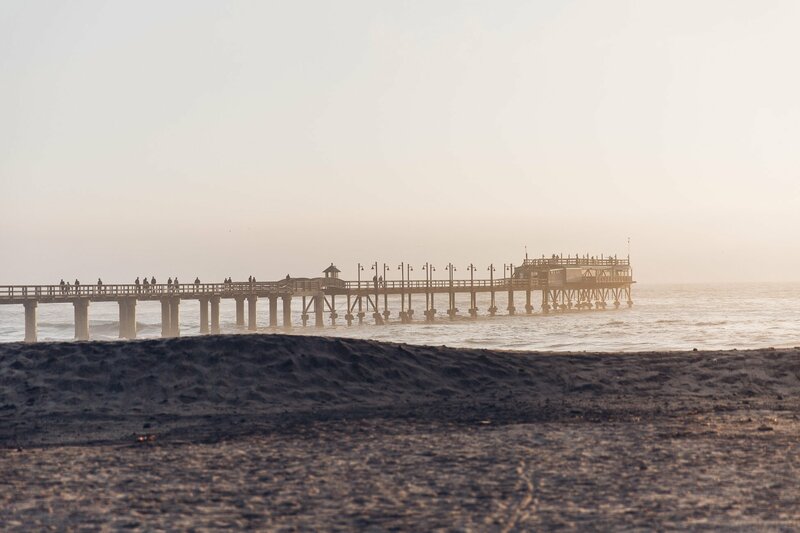 The famous Swakopmund pier is only a minutes walk away and the hotel sits right at the beach. 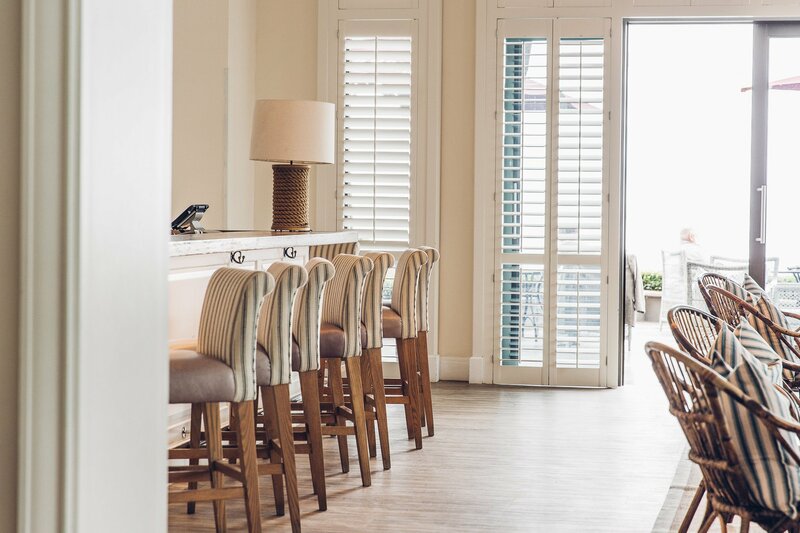 Although the Atlantic coastline isn’t really made for a casual beach vacation it’s still great to overlook the ocean from the restaurant deck or the terrace of your room. 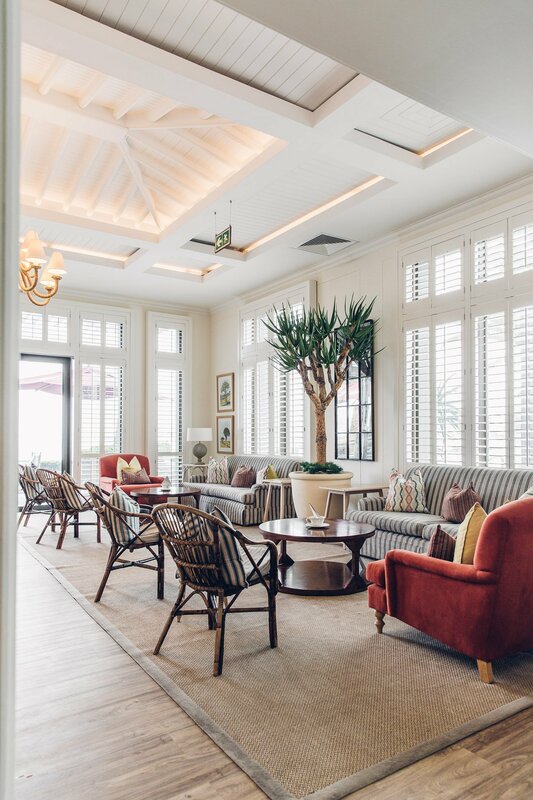 Huge window fronts face the Atlantic Ocean at the Strand Hotel. 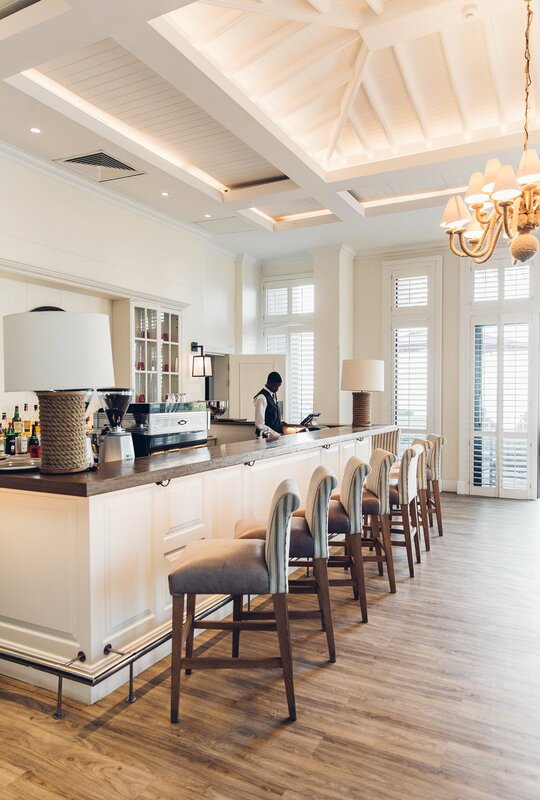 The bar at the Strand Hotel in Swakopmund. 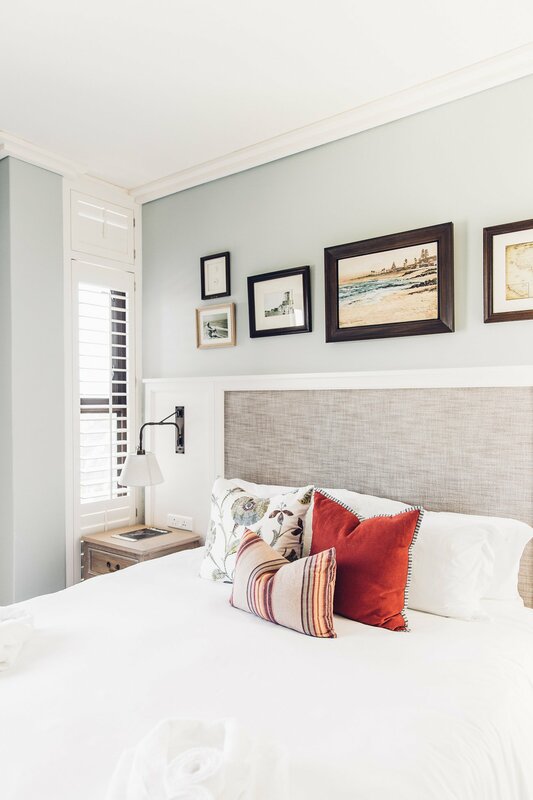 Electrical outlets at the nightstand, multiple seating options and a private balcony – the standard rooms are well equipped. 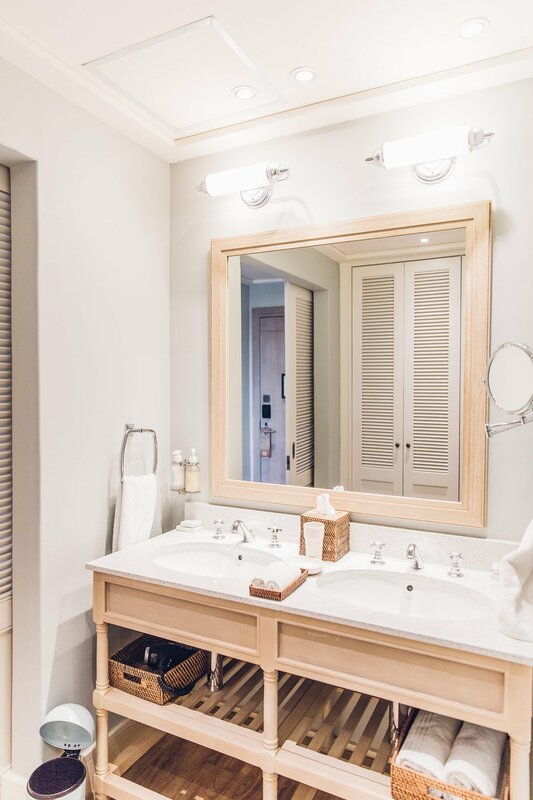 We love bathrooms with two sinks – so yay for that! 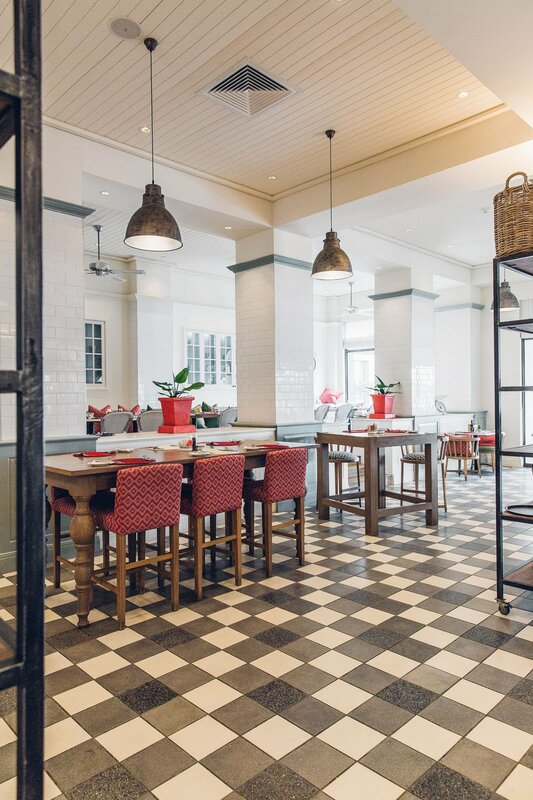 The Strand Hotel in Swakopmund is really a place for all kinds of travellers – except for backpackers and budget travellers (there are multiple cheaper options in Swakopmund). 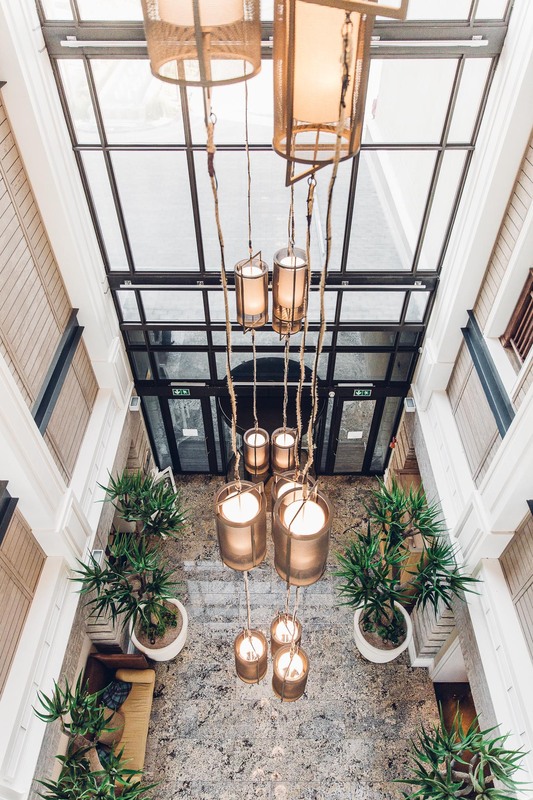 Other than that it’s a hotel that hosts families and solo travellers, conferences and weddings, couples on an individual road trip (like ourselves) as well as groups. 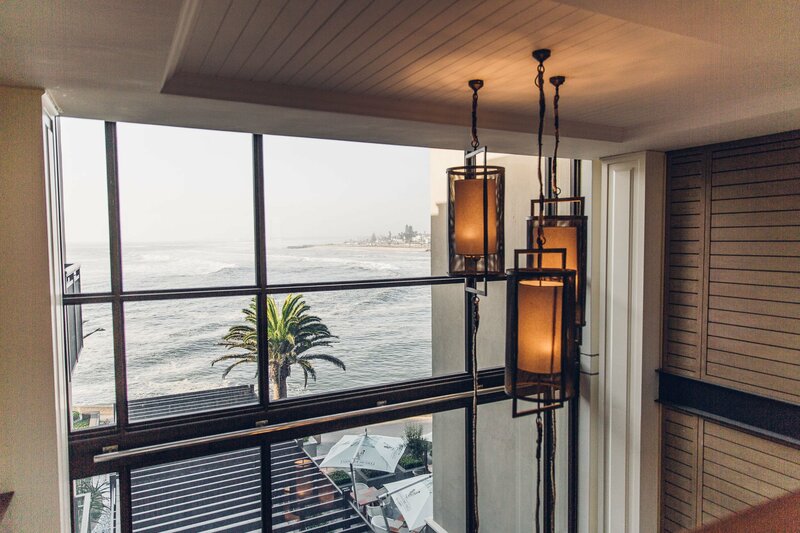 Waking up to the ocean breeze is a big plus at the Strand Hotel in Swakopmund. 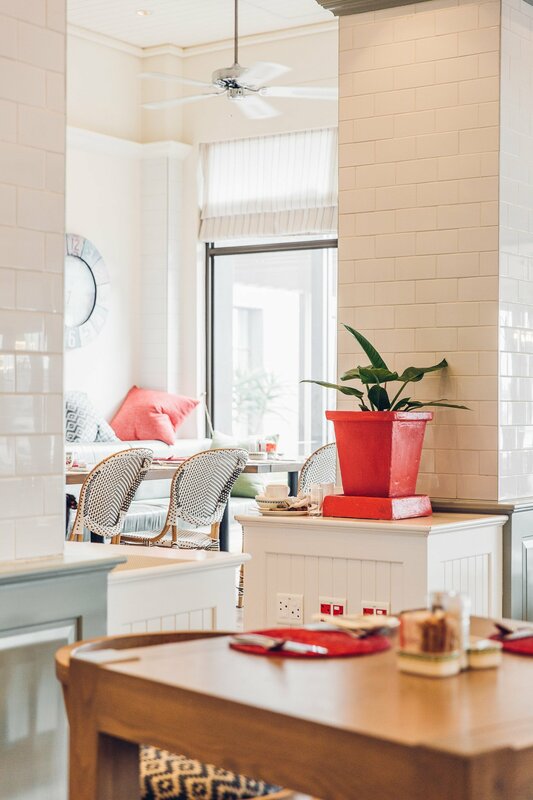 The breakfast room at the Strand hotel – there’s also fresh-made pancakes, egg dishes & waffles! 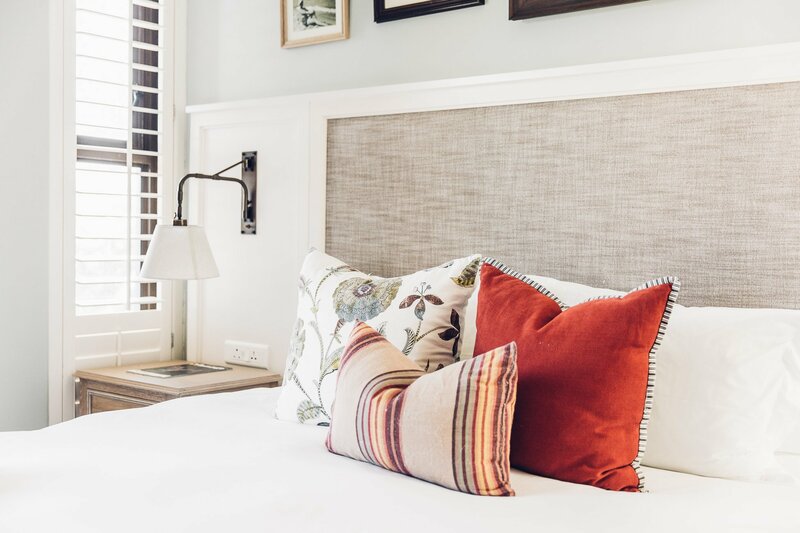 We definitely recommend staying at the Strand Hotel when visiting Swakopmund – and make it more than one night, as there’s a lot to discover in the area! 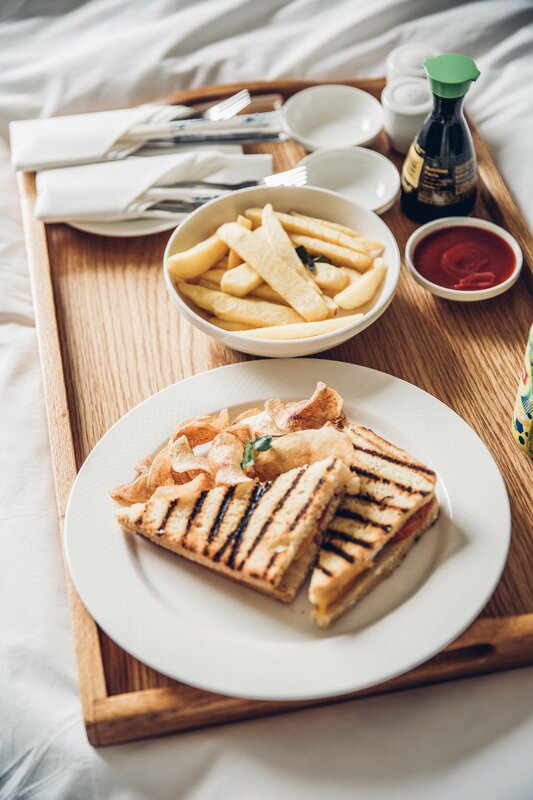 We were invited to stay at the Strand Hotel Swakopmund, but our views of the hotel stay independent from that invitation.